St Tropez needs little introduction. This beautiful port town is the crowning jewel for holiday goers and jet setters arriving on the French Riviera. At the heart of St Tropez’s fame however is not Brigitte Bardot or a popular spray tan brand but rather the beautiful marauding beaches that line its coasts in golden sand. St Tropez’s several miles of beaches have been attracting up to 30,000 visitors a day since 1955. It is for the extraordinary refinement of its beaches that St Tropez has become one of the world’s ultimate luxury holiday destinations. 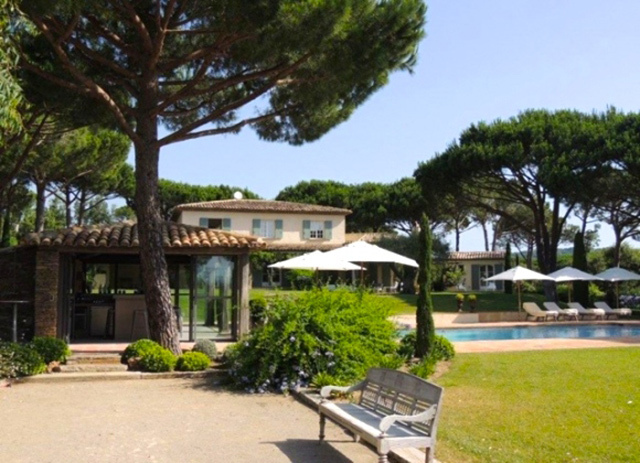 St Tropez holiday home specialist, St Tropez House, presents Villa Mat, a rare property that understands and incorporates St Tropez’s affinity for luxury and beaches. Set among the most prized area of St Tropez’s coastline on a 7,000m2 private park, Villa Mat is the paradigm of French Riviera living. In a peaceful, residential neighbourhood, the villa enjoys manicured gardens among borders of fresh lavender and Mediterranean trees. Guests can relax there on a sun lounger or in an armchair under the shade of one of Villa Mat’s many sheltered outdoor living spaces including a private summer kitchen with barbecue, ideal for relaxing meals with family and friends. Villa Mat’s garden also boasts a vast 15m x 8m heated swimming pool. With the famous golden sand of St Tropez’s Bora Bora and Moorea beaches only 900 metres away however, guests may be tempted to use the pool facilities exclusively for night swimming and venture instead along St Tropez’s stunning coast during the day. 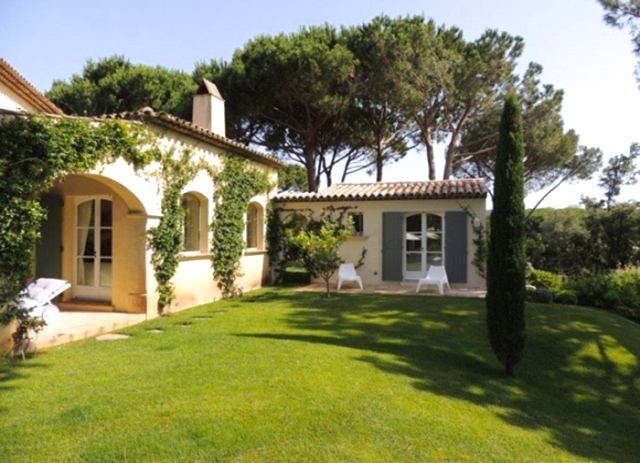 With St Tropez village within a 10-minute drive, there is also plenty to visit in the local area. The house itself is as enticing as the beaches. 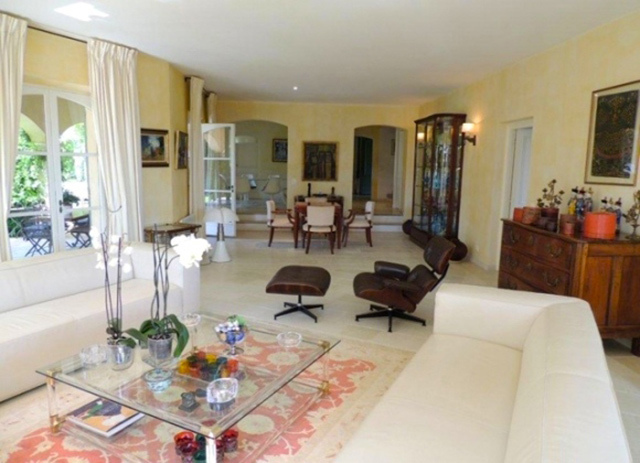 The 400m2 villa has a charming Provençal exterior with a modern, luxury interior. Inside are 5 spacious air-conditioned bedrooms and 1 independent bedroom with furnishings both simple and elegant in equal measure. Meanwhile an annexed apartment offers the opportunity to welcome further friends and family or staff at the convenience of its guests. The villa’s other major rooms include a large modern kitchen adjoined by a beautiful dining area adorned with original Knoll furniture by Eero Saarinen. Continuing the contemporary theme is the villa’s vast lounge complete with fireplace and featuring Ray and Charles Eames designs. Spend a perfect family holiday in comfort and in style by the glorious beaches of St Tropez with St Tropez House’s Villa Mat. For more information about Villa Mat and other properties, contact Emilia at emilia@sttropezhouse.com, or call: +33 6 77 47 99 96.